Educate yourself about IT. It's easy. One of the things that we believe at EZ-IT is that information about IT, computers, technology, and related topics should not only be accessible, but should be easy to understand. Often times, information on these topics is hard to understand, or is written with a trained audience in mind. We'd like to not only showcase useful information that we think would be helpful to you, but would also like to point you in the direction of online resources that you can access regularly to increase your knowledge about computers and IT. ​If you have a question on any of these items, or have a topic you would like to see more information on, please email us. 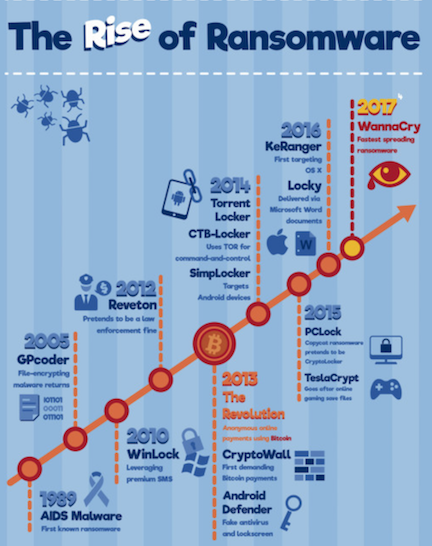 Check out this great article and infographic on the rise of ransomware attacks. It's important to understand how this emerging threat works, and how you can protect yourself and your business from ransomware attacks. Here's a great article called "10 Reliable Offsite Data Backup For Small Businesses And Enterprise." Check it out to see what options are available to you for backing up your data. This short video explains how APIs work, and why they're so important in everyday technology use. 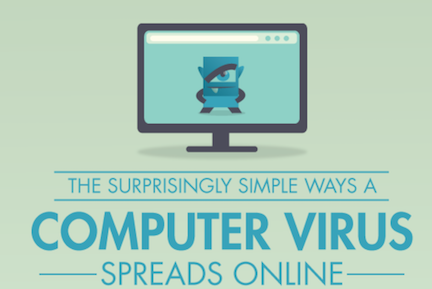 This is a great infographic on how computer viruses are spread.